Suffering a lack of vitamin D thanks to this already-harsh Chicago winter? Gold Motel are here to help via a new single that will help you think of warmer, happier days. The locally-based indie pop quintet have followed up their debut LP Summer House with a vinyl 7" (and digital release) dubbed Talking Fiction, which neatly wraps up everything so irresistible about the band into two of their best tracks yet. A-side "Cold Shoulders" is power-pop bliss that recalls prime-era Blondie. Here, frontwoman Greta Morgan sounds extra cool and alluring over a lively melody that invades your brain upon first listen. When she shifts to a higher register while singing the song's title in the singalong chorus, how could anyone resist? This could be the band's most immediate tune yet. On the flip-side, "Slow Emergency" is sweet and smooth, proving that these five can do chill just as well as they can do bouncy. If you dig the kind of pop music that was being made when pop music could actually be good, pick this one up. 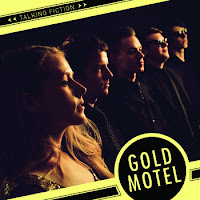 And to Gold Motel: More, please. 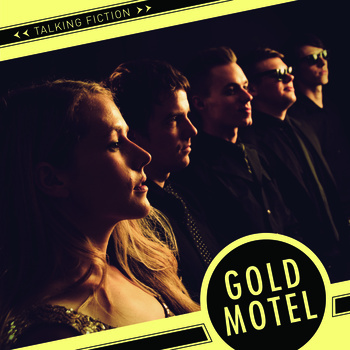 Talking Fiction is available digitally on Bandcamp and physically at Gold Motel's official site. The band will be playing the single and answering questions tonight, December 14, via Yowie.com at 7 p.m. central. Thank you for sharing this helpful idea with us!